Here at Meraki, we are continually focused on simplifying the IT management experience. One of the areas our engineering team is always paying attention to is how to offer additional benefits to customers who have multiple Meraki product types. We want every product, be that wireless, security, switching or mobility management to be outstanding in their own right, but what about when they come together? One exceptional example of this integration is Systems Manager Sentry. With Systems Manager MDM holding a wealth of data on client devices, it can automatically configure the network based on rules you provide. 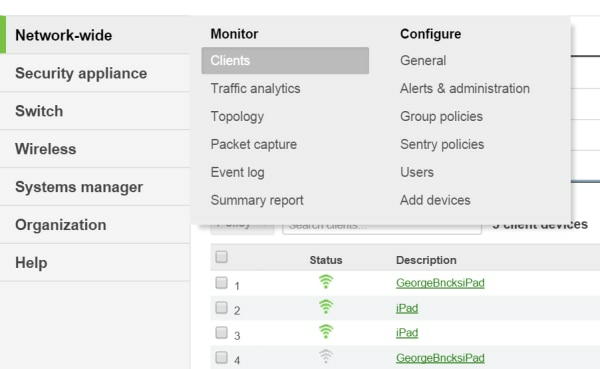 Another is Group Policies, where one interface allows network-wide rules, such as firewalling and traffic shaping to be configured, no matter if the connectivity type is wired or wireless. The Meraki dashboard is central to our cloud technology and is used to manage all our products through a simple, intuitive, and powerful interface. This is continually updated and improved based on customer feedback and internal research. The cloud infrastructure allows for these changes to be seamlessly deployed without user intervention, patches, or downtime. In February we introduced our #fullstack campaign to highlight the benefits of a combined network view in dashboard. With a combined view, the products are grouped together so that a single site can be viewed in a single navigation pane. Although Systems Manager deployments could be managed from the same dashboard interface as the other products, it was previously not possible to combine them. 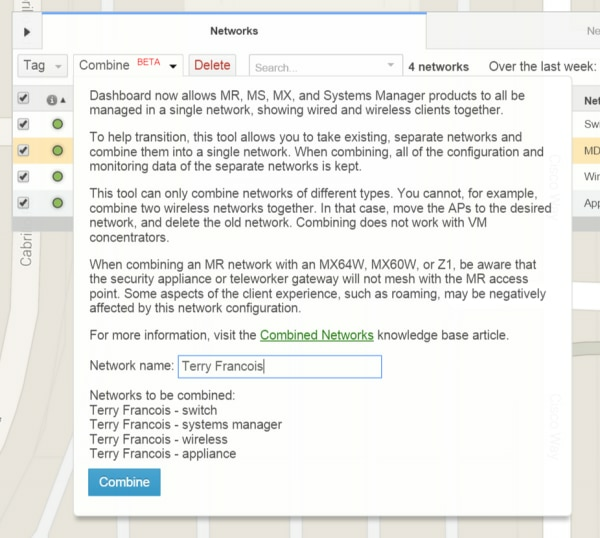 Today we announce the beta availability of fully combined networks, with Systems Manager integrated into the navigation pane. If you would like to try out the new interface, go to the Organization Overview page within dashboard and choose Combine. To take part in the promotion, all you need to do is subscribe to the Meraki blog by the end of November 2015. Current subscribers are automatically entered to win. Additional terms and conditions apply; subscription is not necessary to enter. If you are an existing Meraki customer with only one product family today, why not try adding some of the others to learn more about the benefits of the full Meraki stack. Contact us to arrange your evaluation at no charge. You’ll be up and running in a matter of minutes, and we have a dedicated evaluation support team ready to help you at every step.